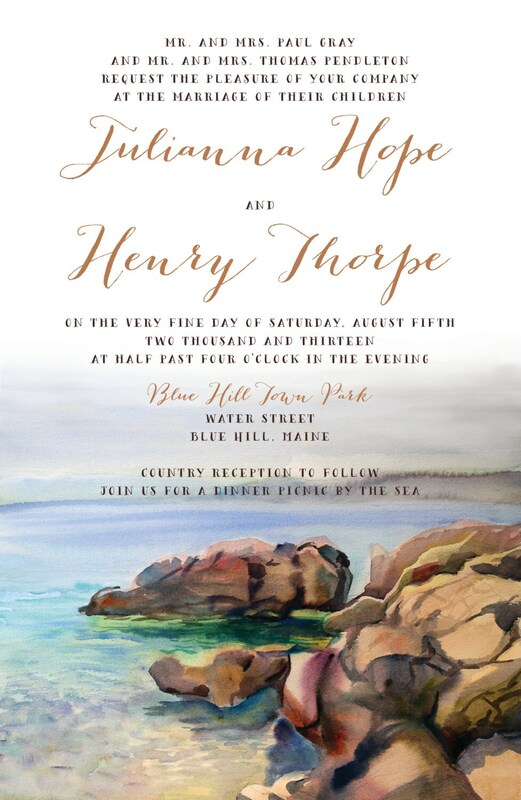 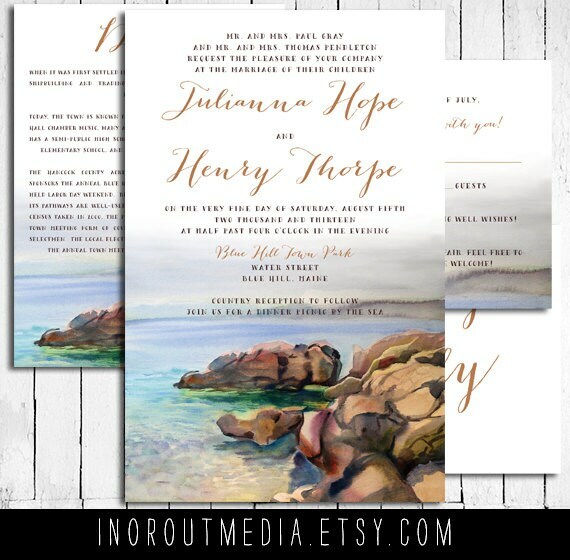 **Featured on Emmaline Bride** Inspired by the beautiful Maine coast, this unique watercolor wedding invitation features simple typography with a watercolor image carried throughout the suite. 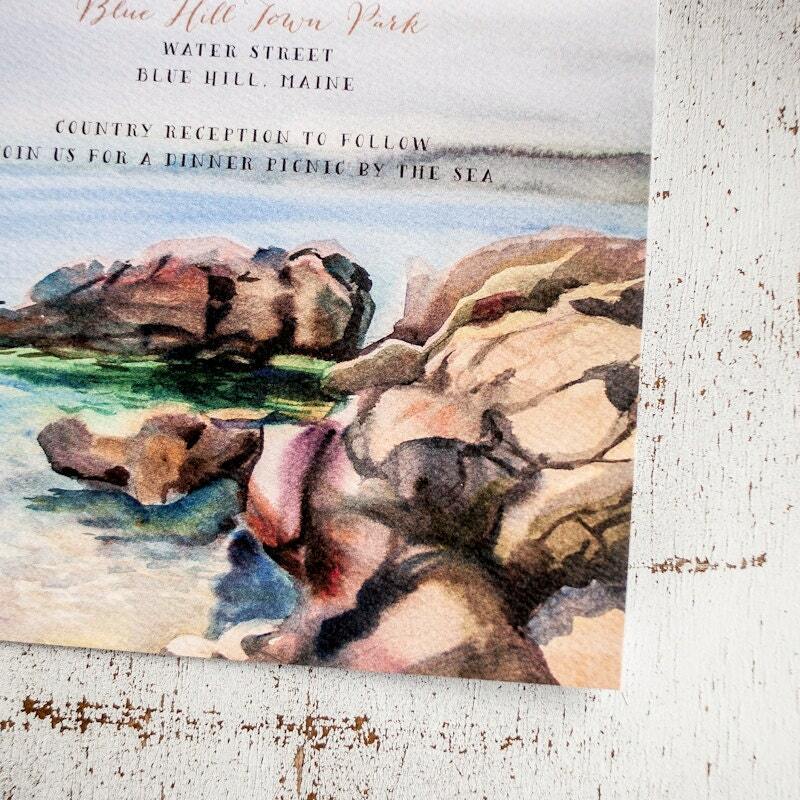 Colors are picked right from the painting, coordinating them nicely. 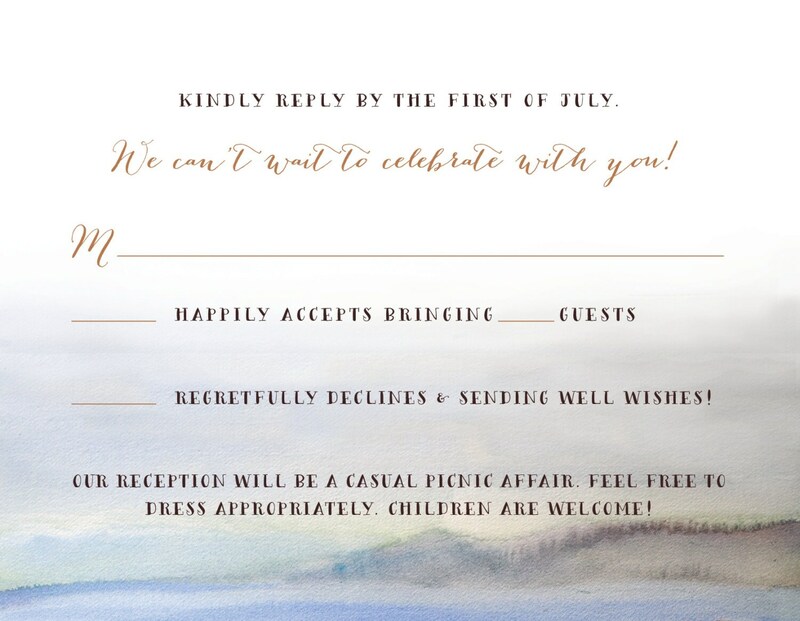 This would also work nicely for a Pacific Northwest wedding, or anywhere else with a rocky coast. 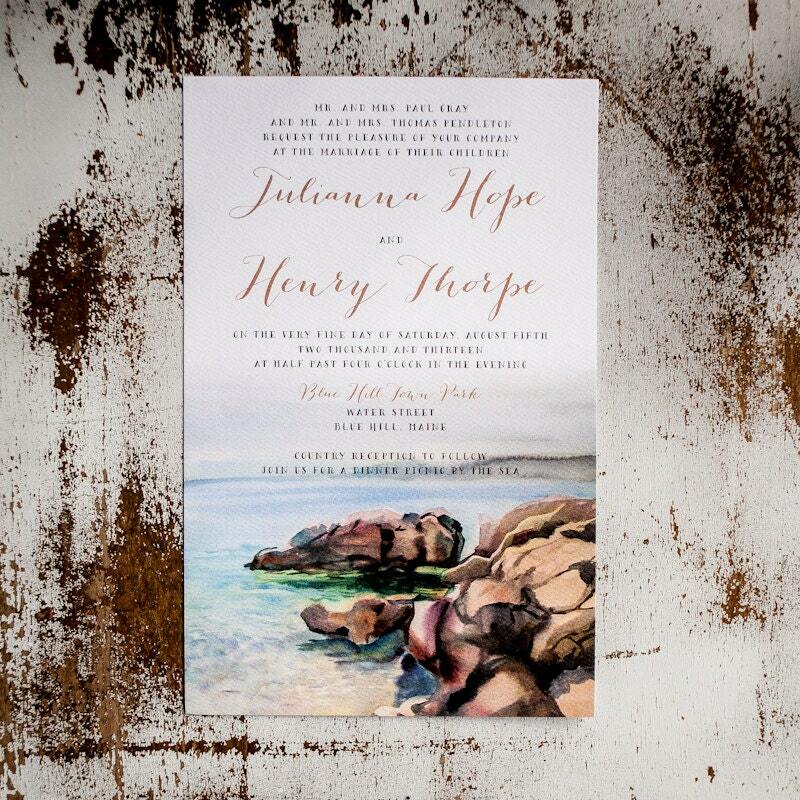 A great rustic wedding invitation for your nautical or beach side affair.